We offer a wide range of vehicles for your Wales Self Drive Vacation, both manual and automatic. The largest vehicle available is our 7 Seater people carrier, however for groups of 5 or more we recommend you opt for one of our Wales Chauffeur Driven Tours. This sample Wales Self Drive itinerary includes 4* Hotels but why not upgrade to 5* Hotels or even Castles for that extra bit of luxury on your Wales Self Drive Vacation. You may like to combine your Wales Self Drive Vacation with other options such as our Ireland Self Drive Vacations, England Self Drive Vacations or indeed our Scotland Self Drive Vacations. Start your Wales Self Drive Vacation in Cardiff – you can get here by way of a customized England Self Drive Vacation or fly into Cardiff Airport. Collect your car rental and spend some time in Cardiff. 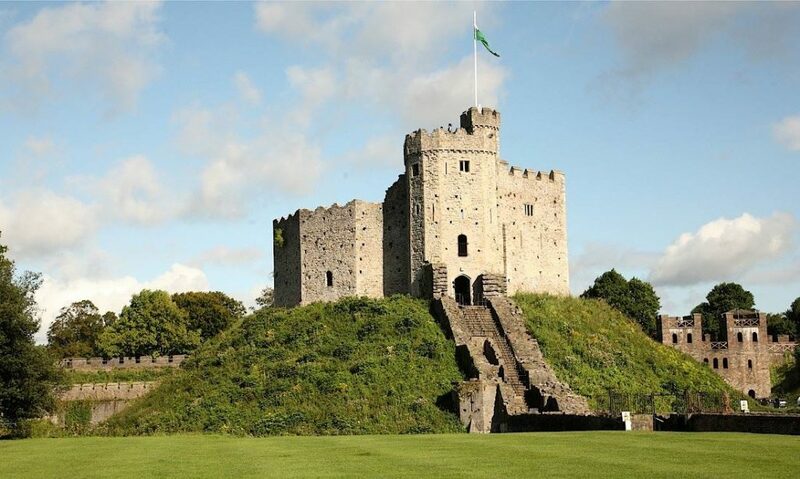 Visit Cardiff Castle before traveling on to your hotel which is situated in an idyllic Welsh woodland. 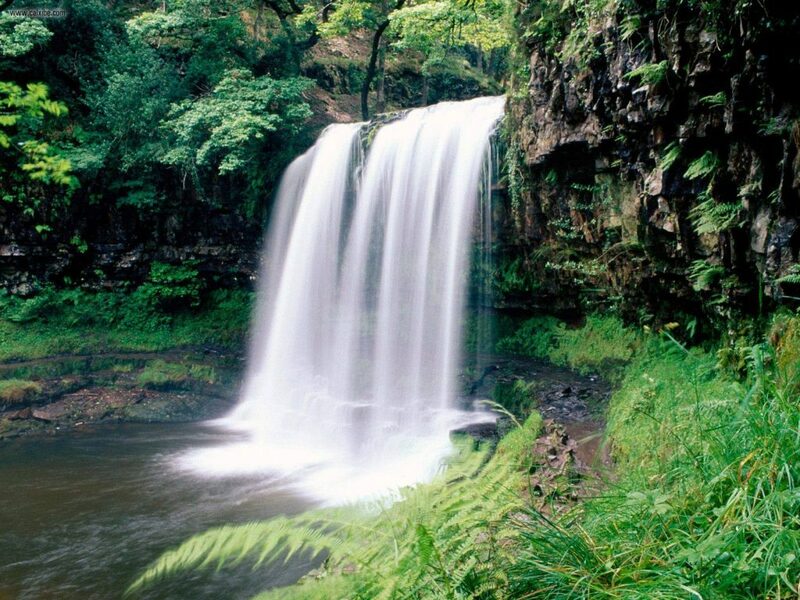 Spend a day making the most of all that is on offer in the Brecon Beacons National Park with numerous trails and paths for wildlife-watchers, mountain cyclists, bikers, walkers, runners and horse riders. There’s a great variety of organized activities for you to experience, from mild recreational pastimes like photography to more intense adrenaline sports such as abseiling, rafting and paragliding. There are also fabulous ruins to explore such as those at Tretower, Brecon, Llandovery and Crickhowell as well as grand mansions such as Tretower Court, Newton House at Dinefwr and Cyfarthfa Castle. 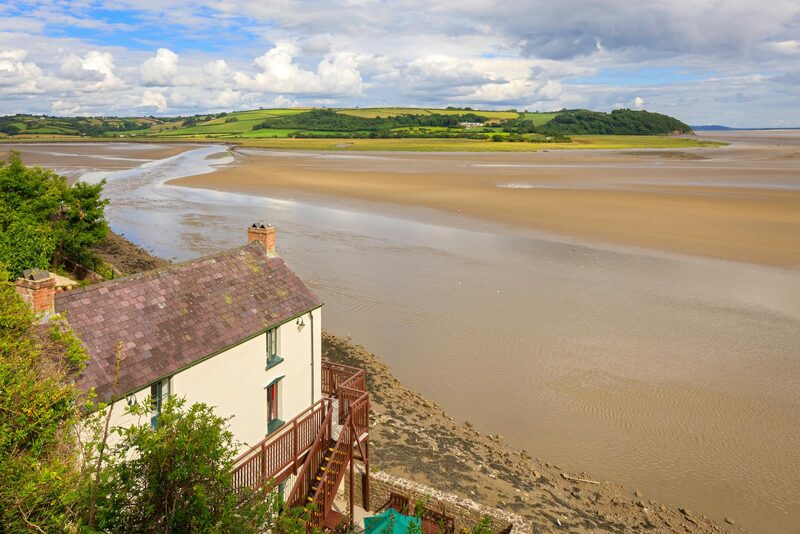 This morning make your way to the pretty coastal village of Laugharne. Here you can visit the Dylan Thomas Boathouse where Dylan Thomas spent the last 4 years of his life. It is now a tribute and memorial to the famous writer with visual presentations, books and tea room. You can also visit Laugharne Castle, a striking medieval castle turned Tudor mansion where both author Richard Hughes and Thomas used the castle’s garden summerhouse inspirational setting to write their stirring lines. In the evening make your way to your nearby hotel. Spend today exploring the surrounding coastal area. Pembrokeshire Coast National Park is Britain’s only Coastal National Park and the Pembrokeshire coast path runs the length of the county with breathtaking views throughout. Stop at the attractive town of Tenby with its pastel painted houses where attractions to visit include Monorbier Castle and the Tudor Merchant’s House. 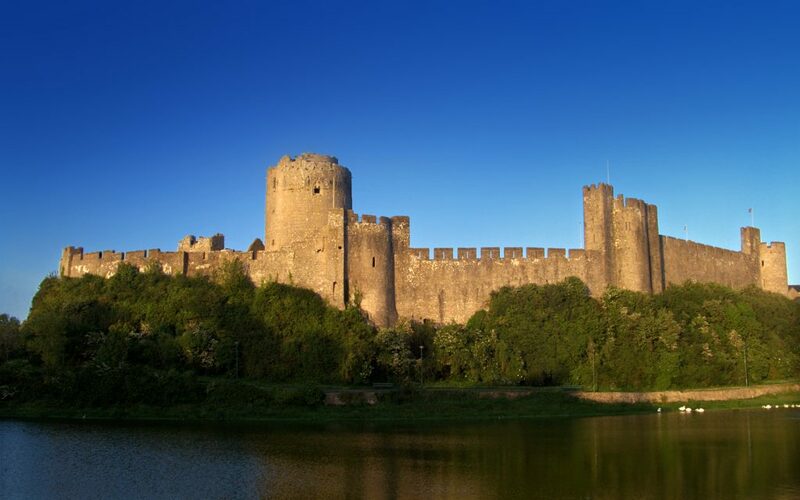 Explore nearby 11th century Pembroke Castle also and admire its impressive features, including an authentic medieval gaol…..although perhaps not impressive to its prisoners! Visit the lovely market town of Cardigan this morning before driving along the Ceredigion Heritage Coast with its pretty seaside towns and villages and beautiful wide beaches. Continue on to Aberystwyth where you can take a ride on the longest electric cliff railway in Britain – the Aberystwyth Electric Cliff Railway. It climbs Constitution Hill and from the top you can see incredible vistas from the mountains of Snowdonia in the North to the Preseli Hills in Pembrokeshire in the South. 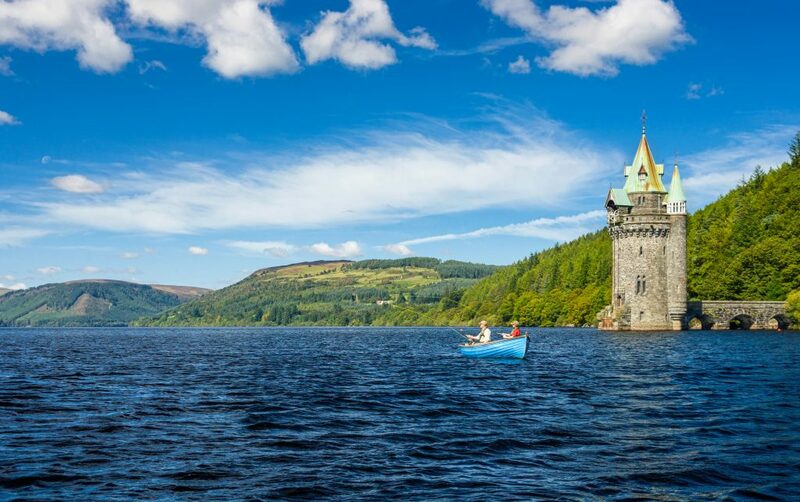 Afterwards continue on to Lake Vyrnwy which is the picturesque location of your next hotel. Spend today exploring the Snowdonia National Park. 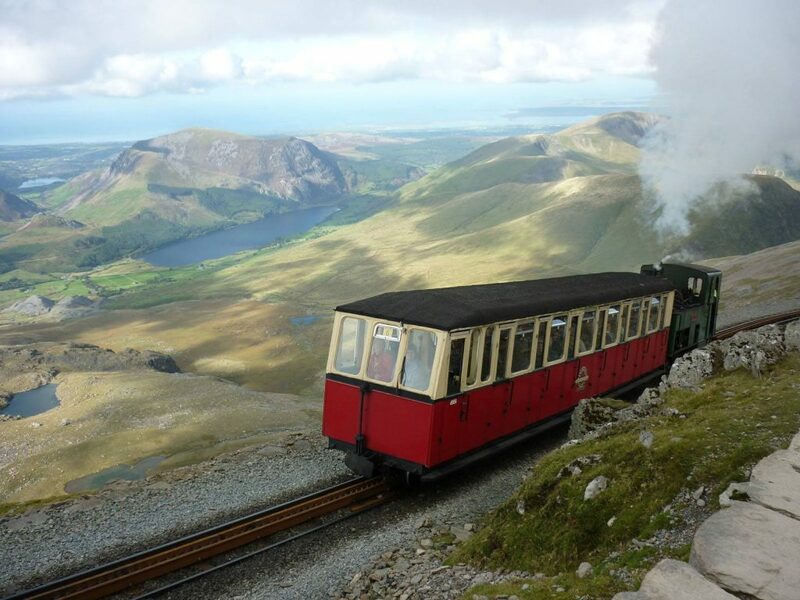 Take a ride on the Snowdon Mountain Railway – Dominant Snowdon overshadows the ancient, magical countryside of Northern Wales. At 1,085m (3,560ft) it is a true place of legend – some say the giant ogre Rhita (defeated by King Arthur) is buried here. It is also said Arthur’s Knights still lie under this peak. After a leisurely morning travel through the beautiful North Wales countryside to the walled market town of Conwy. 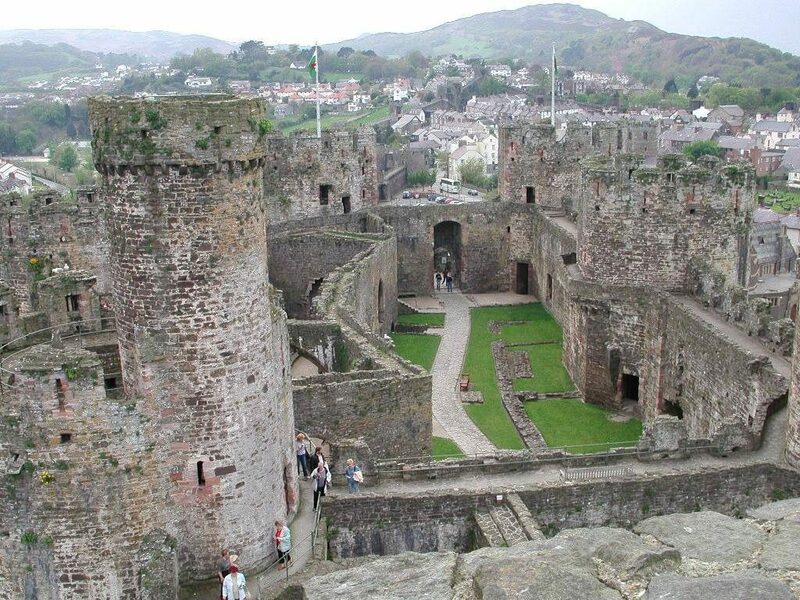 Here you can visit the impressive Conwy Castle erected by King Edward I in the late 13th century as one of the main bastions in his ‘iron ring’ of Castles to suppress the Welsh. In the afternoon check into your hotel and enjoy some of the on site amenities such as their award winning spa. In the evening explore some of the quaint Welsh pubs in Conwy. Your hotel is just over an hours drive from Manchester Airport so return your car with plenty of time to spare to catch your flight home. Or extend your stay by continuing your journey with an England Self Drive Vacation customized to suit your specific needs. Our self-drive tours include all hotel accommodations, breakfast each morning and car hire. As all our tours are customized to suit your individual needs additional items can be added to suit your chosen itinerary. You will also have access to our concierge services in the run up to your trip as well as 24 hour on tour support.